You've just opened up your favorite Web browser, and a quick search using the browser toolbar reveals that it's automatically set to a search engine that you aren't a fan of. Is there a way to change this? Most Web browsers on the market give users the ability to pre-set their favorite Web pages and Web tools; for example, you can set your own home page to anything you prefer (read How to Set Your Home Page for more information). If you'd like to make Google the search engine that your Web browser uses by default when carrying out Web searches, you can do this quite easily. No matter what browser you use, setting the default search engine to one of your choice is something that all browsers are able to do - in other words, you're not locked into a particular search engine, you can use any search engine that you prefer as your default search engine - including Google. What does "default search engine" really mean? Basically, this means that anytime you open up a new window or tab within your Web browser in order to search for something, your default search capabilities will come from the search engine of your choice - whatever that might be. When you first download a Web browser, there is usually a search engine programmed in to be used as part of your search experience. It's quite simple to customize this to the user's preferences and can be done in a matter of minutes, within any Web browser. First, it's always smart to check which version of Internet Explorer you're using in case you run into issues; you can do this by clicking Help > About Internet Explorer. Find the search box in the upper right-hand corner. Click the downward pointing arrow, and choose "Manage Search Providers." Select the search engine you'd like to use, and click on "set as default". Click on the downward pointing arrow. Select Google from the list of search engines. In the top right corner of the page, click the Chrome menu > Settings. 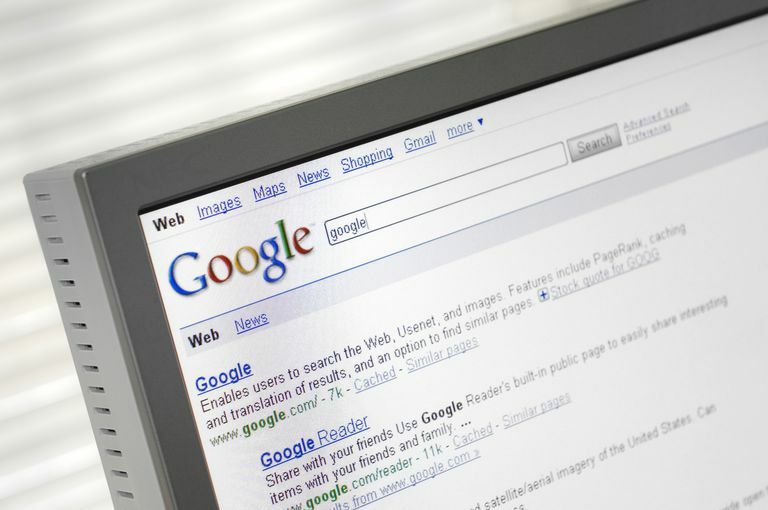 Do Your Search Engine Preferences Keep Changing? If you find after setting your default search engine preferences in your Web browser using the steps above that they continue to change to something else - without your permission - then it's likely that your computer has been infected in some way with malware. Read more about how to defeat these pesky annoyances, along with how to prevent them from happening again, in Why Are Ads Following Me Around Online? In addition to customizing your choices for a search engine, you can also set any Web site or search engine as your Web browser home page. For more on how to do that, read Set Your Home Page To Your Favorite Site. This simple tutorial will give you exactly what you need to know about how you can set any page you want - from news to search to weather to your favorite social media site - to your homepage. Once you have this set, every time you open a new Web browser window or click the Home button on your browser address bar, you'll be instantly taken to the page of your choice. This is a very convenient way to make sure you are always in touch with whatever you might find the most useful, instead of having to memorize a bookmark. You can even make more than one page your "home" destination; for example, you could set the most current weather, your email client, and your favorite search engine as the Home page destination. Thus, every time you clicked Home, all three of these would open concurrently.